I lurrrrve this time of the year. Christmas seems to inspire a 'marmite' like effect in people but I for one can't wait to put my tree up and get the Christmas tunes on full blast. I do have a cut off though - 1 December. I refuse to eat a mince pie, buy an eggnog latte or watch a Christmas movie until at least the 1st or else I'm liable to combust from too much Christmas cheer before the big day. I have however allowed myself a sneak peek into Christmas this weekend by launching our new Christmas range. This is the most exciting festive range we've ever done and if the popularity of the products online are anything to go by then I fully expected we'll be booked up in no time! Gingerbread style chocolate Christmas house (above) - Our indulgent chocolate Christmas house is new to our range this year and is made ENTIRELY from chocolate! We've used a whopping 1.6kg of milk and white chocolate to make this stunning centrepiece which can be made to fit your festive colour scheme. 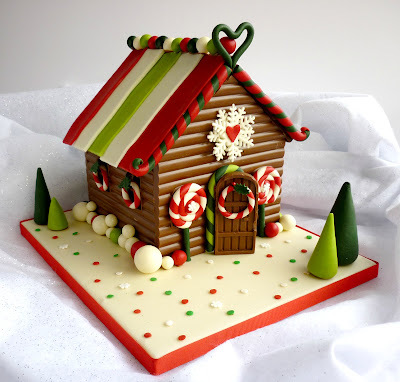 As an extra delight we can also fill this house with your choice of sweets but get in touch soon to order as we have limited availability for these houses! Prices start at £35 per house and include gift wrapping (we can provide this house with milk, white or dark chocolate or a combination of all!). 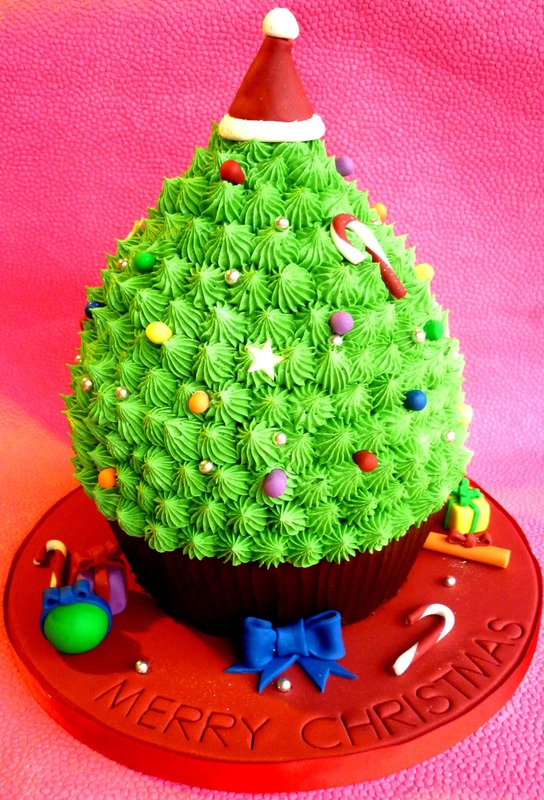 Christmas Tree giant cupcake - This fun cupcake creation stands at a whopping 15" tall and will provide a fantastic talking point for your festive guests! This cake feeds approx 20 people and is available in fruit, chocolate or vanilla cake flavours and comes finished with a decadent vanilla bean buttercream and fully edible decorations. Prices start at £45 and this cake will stay fresh for up to 5 days after collection/delivery. Christmas themed cupcake gift box - The perfect gift for the cake lover in your life! 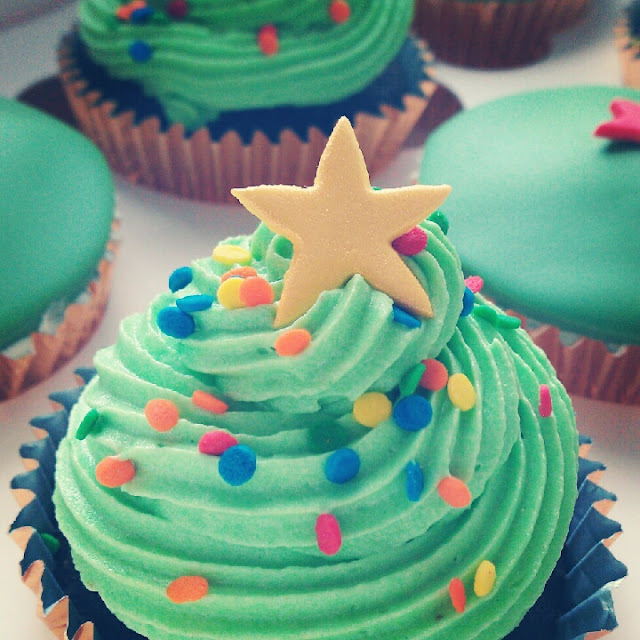 These cupcakes are available in chocolate or vanilla flavours and come gift wrapped in boxes of 12 cupcakes or more. Priced at £25 per box, these are available for collection until 24 December and will stay fresh for up to 3 days after collection. All enquiries and orders can be ordered through our 'Contact us' tab on the website and further details can be found here. Star Bakery website gets a facelift!